The Grab Bag Part Deux-Reviews and GiveAways! : GrabBag Of Coupon Goodies Giveaway Delayed. drawing will be delayed for another week or so. can keep entering to win until this matter is resolved. Thanks for stopping by. 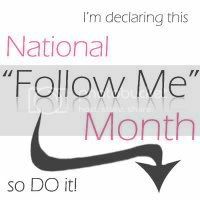 I am following you as well. Love the Christmas music! !